Transport Minister Marc Garneau will address mounting questions about Canada’s plans for its Boeing 737 Max 8 aircraft this morning in the wake of the Ethiopian Airlines crash that killed all 157 people, including 18 Canadians, who were on board. Canada has so far decided not to ground the jets, despite the U.K., European Union, Australia and other countries suspending them from their airspace. The U.S. is also allowing the jet to continue to fly. Garneau will outline Canada’s position during a media availability in Ottawa, now starting at 11:30 a.m. ET. CBCNews.ca will carry it live. He will be joined by Aaron McCrorie, Transport Canada’s assistant deputy minister of safety and security, and Francois Collins, the department’s associate director general of civil aviation. Toronto-based Sunwing Airlines announced late Tuesday it is temporarily grounding its four Boeing 737 Max 8 aircraft for “evolving commercial reasons” such as airspace restrictions imposed by some destinations. 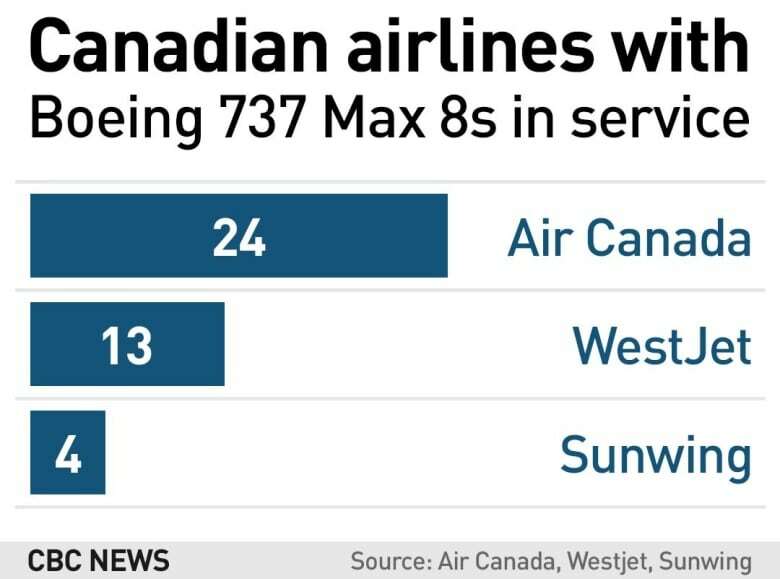 The airline’s call came after Air Canada cancelled multiple scheduled flights to and from London in response to the U.K. closing its airspace to Boeing 737 Max 8s. Garneau has said it would be “premature” to ground all 41 of those planes currently owned by Canadian air carriers. However, shortly after the U.K. put out its statement temporarily banning the jets from its airspace, he tweeted he was cancelling previous plans and meeting with his civil aviation expert panel to discuss the Max 8 aircraft. The NDP has asked for the government to ground the plans as a precaution. “This is something that’s raised a lot of concerns for Canadians. We got to make sure that our regulations in Canada protect the interests of security and safety for Canadians,” party leader Jagmeet Singh said Wednesday. Sunday’s disaster follows another fatal crash of the 737 Max 8 jet in Indonesia five months ago, killing 189 people and raising concerns about the fleet’s automated flight systems. Asrat Begashaw, a spokesperson for Ethiopian Airlines, said the pilot had reported flight-control problems and requested to return to Addis Ababa, from where the plane took off en route to Nairobi, before the crash. The black boxes from the crash site will be sent to Europe for analysis, he said.